Sign up (click here) to tie your Dillons Plus card to our PTO. You have to specify every year after Jan 1st what non-profit you are supporting. Just sign into your account and click on "Community" and then Community Rewards. 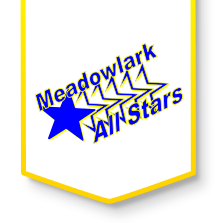 You can type in our number (10282) or our name (Meadowlark Elementary PTO). For the 2014 calendar year, we received $3,003.00 just from parents using their Dillons Plus card! It only takes a few seconds so please sign up today!!!! !